Size: Large Join the Gryffindor House on a Harry Potter adventure with this ankle-lengthcostume robe from Rubies Costume Company! The robe measurement from neck tohem is approximately: Small 35 inches, Medium 39 inches, and Large 44 inches.Also look for Slytherin robes, wands, and other officially licensed HarryPotter costumes and accessories. For dress up play, Halloween, book reports,or just for fun - in sizes from infant to adult - if it's magical fun you'relooking for, Rubies has it! 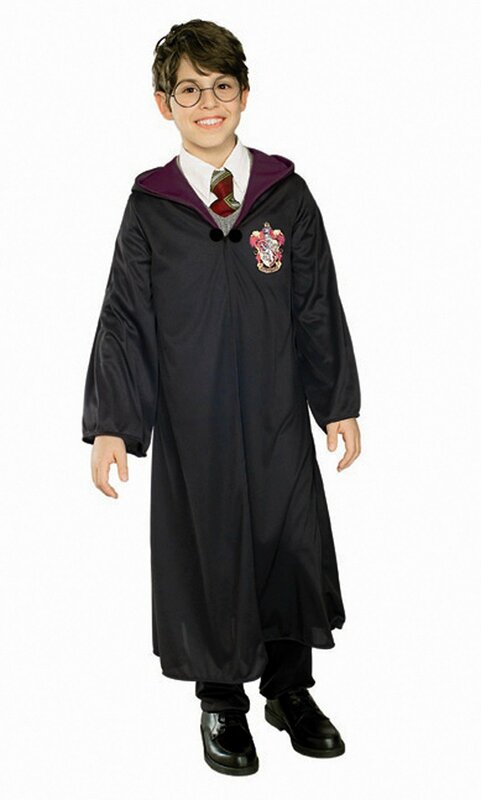 From the Manufacturer This Officially Licensed Harry Potter and the Half-Blood Prince Harry PotterChild Robe includes a black robe with clasp.